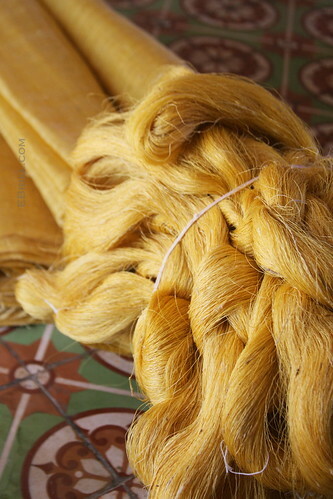 Raw golden silk in Vietnam, waiting to be spun. I travel to drink in the world through all my senses. 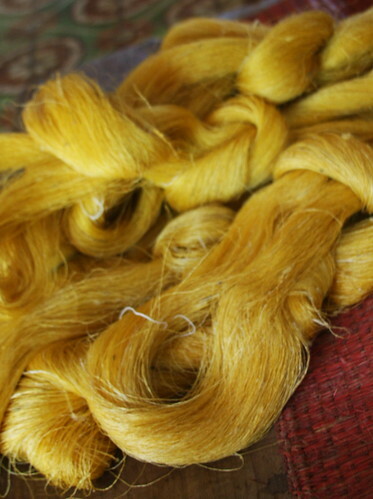 When I saw this rough golden silk in Hanoi I had to touch it. The strands of silk felt like dried grass under my fingers, and I bought two yards to see if I could Cyanotype it. "Where on earth did you find this?" I asked my friend Van. "I've never seen anything like it before." We were in Van's tiny silk shop Silkaa, across from Hanoi's Cathedral. Her landlady coughed and cackled from the mezzanine above, resting her old bones before transforming the silk store into a tea shop for the evening. 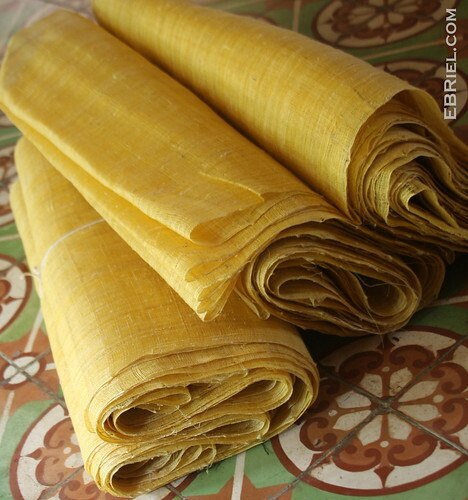 "I've bought the silk from a village in northwest Vietnam, then take it to another village where they weave it for me. I'm headed there tomorrow. Want to come?" she asked. It was an offer I couldn't refuse: a weekend away from Hanoi's sweltering afternoons, and the chance to see this straw spun into gold. The next morning we caught a 6am bus to the village, and the driver dropped us off near the weaver's home. 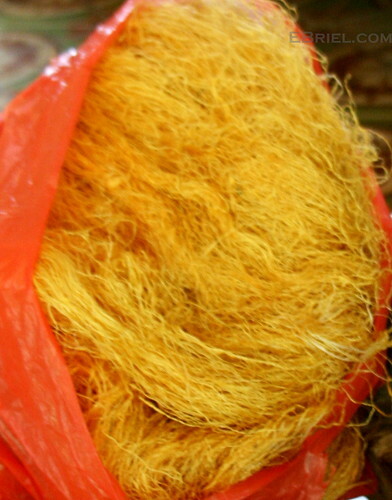 We were greeted at the door by this orange bag bursting with silk strands - so wiry they looked like vermicelli noodles. After the silk is washed and dried it is smoother than before, but most of the original gum coating remains. This gives the silk its unique texture. The fabric has an open weave but is still incredibly strong. 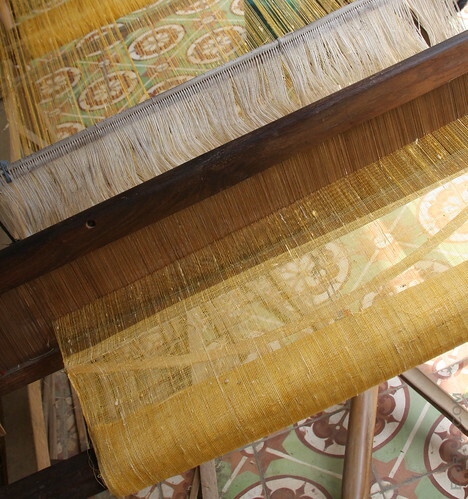 Van had commissioned the weavers to make hundreds of yards of it for a hotel in Saigon. "They'll use it for lampshades in their lounge and restaurants," she said. It was one of the biggest orders she'd ever had, and she wanted to be sure of the fabric's high quality during the entire project. While it turned out the stiff coating on the silk prevented it from being a good material for my Cyanotype prints, I'm sure it was perfect for amazing golden lampshades for a swish hotel down in southern Vietnam, and ensured Van had plenty of gold for her business for quite some time.